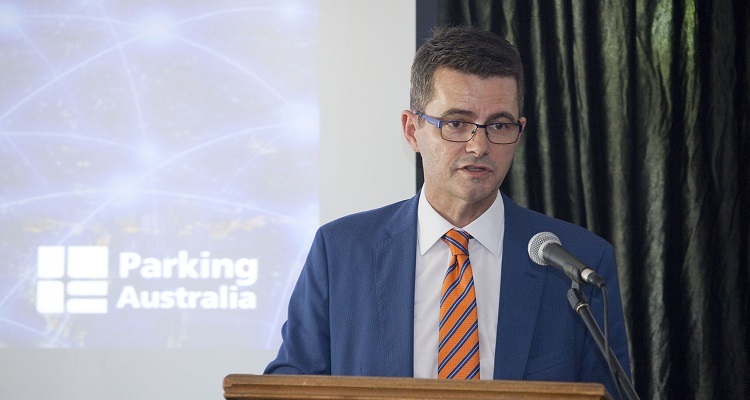 Parking Australia’s first event of 2019 got underway on 12 February, with an address from the Hon Shayne Mallard MLC, who attended to speak about the NSW Government’s policies relating to parking. The Minister’s address was followed by a Q&A session, before moving on to a case study presentation from Roger Rooney, Senior Project Manager – Smart Parking for the ACT Government. Roger spoke about the Smart Parking Manuka project (2016-2019) and the deployment of a sensor-based network and the ParkCBR app as part of a smart parking trial. The Sydney event was also the first of many for new Parking Australia CEO, Stuart Norman, who outlined his vision for the association and spoke about the proposed international data standards by the Alliance of Parking Data Standards (APDS). The APDS aims to establish a common international language for data elements and definitions in the parking, transportation and mobility sector, that will facilitate seamless integration, compatibility, and communication between parking entities, the automotive industry, IT developers, and app providers. The next event for Parking Australia is due to take place on 14 May in Brisbane. More details will follow soon.